Tank cleaning in SE US. 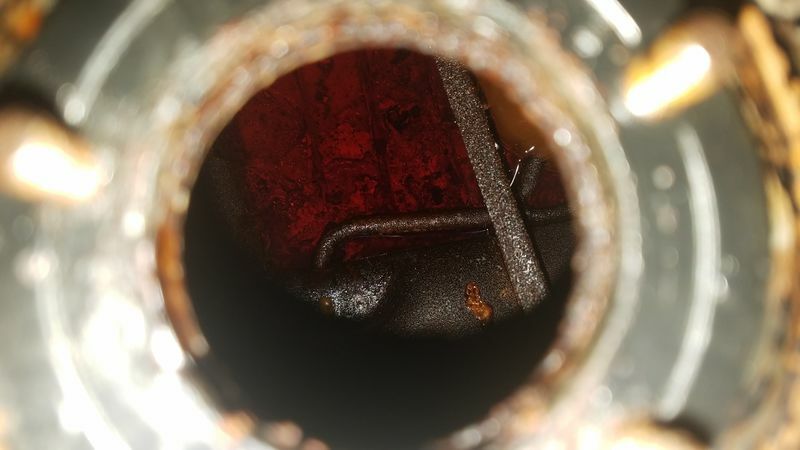 Anyone have any experience with a shop that will clean a gas tank in the Carolinas? I've done a lot with this one, but it could use more before I plumb it into the car. The local radiator shop here in town says they dont clean them anymore. What about filling with a few gallons of vinegar and letting it soak, move soak, repeat until clean? I've done quite a bit of that here, and it does work. Pressure washer helped more though. More vinegar may work. but I'd really prefer a more thorough cleaning. Vinegar is a weak acid right? So move to a more aggressive acid (carefully). Don't waste your time and buy a new tank. Seriously, refurbing a tank is a total waste of time and energy - and money. If there is one thing that I tell people to buy new is a new tank. I had hours and hours into an old tank and it was never as good as my new tank. Put up the money and just do it. On the acids... I would normally use phosphoric, but the baffles in the tank make me wary of using that. And, a lot of the issue is the general gunk, vs just rust. And, as Sal so wisely points out. cleaning costs add up, and the tank doesnt end up as clean as your like. Motorcycle tanks come clean, but the 911 tank is a piece if work to get clean. Plus while a tank filter runs $85, you can buy a whole new tank for around $400. $400 pops add up. but it very well may be the lowest cost option in this case. This is why I ask about the shops who clean them out. I'd rather not continue to pour time and money into cleaning a tank that's not going to get clean enough with degreaser and vinegar. a dansk new reproduction is actually a good value in the grand scheme of things by the look of that one. when my oil tank was questionable upon a fresh motor I ponied up for a new oil tank as to sleep well at night. the oil tank was more expensive than the fuel tank!! I never thought about a bad oil tank. Thanks for that to keep me up at night. Wow- $1200 for a Dansk repop oil tank! I use Muriatic acid. (Is used to clean swimming pools) with great results. Some times you have to repeat the process depends on condition. After that vinegar or ospho but only to neutralize the metal inside the tank. I have saved a lot of fuel thanks using that. POR 15 makes a product called Marine Clean. Works really well, would remove all that in your picture. How long would you let it soak with Marine Clean or Muriatic? Again, you're not going to get it clean enough if it's rusted.